These classical cannons are available in both installation modes, either embedded or universal. 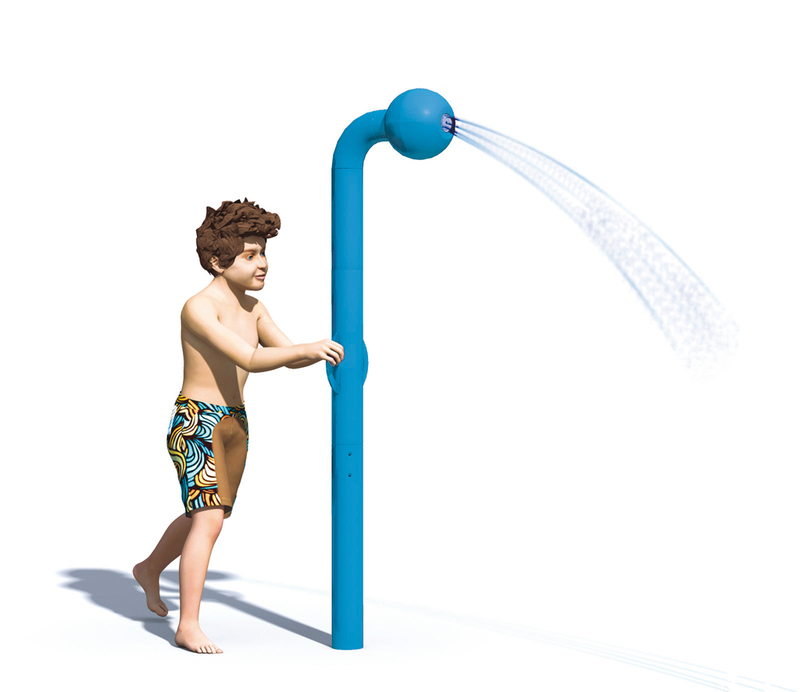 Most of them have also been redesigned using our Ecolor translucent polymer. 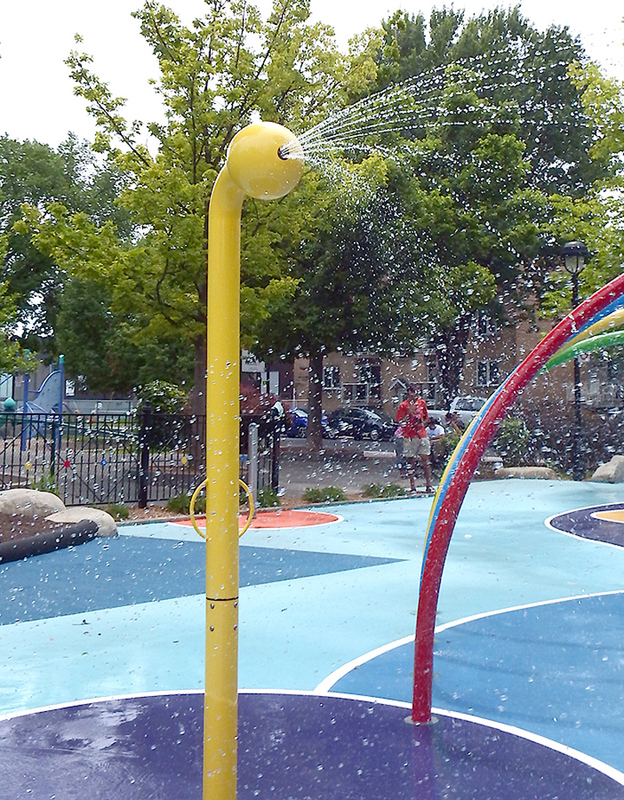 The use of Cannons in an aquatic play area is essential since it promotes role play and social interactions. Equipped with one or two swivels and made out of one whole stainless steel block that is practically indestructible; all Cannons swivel on one or two axes. Although the Cannons’ rotation angle is a full 360°, the spraying angle can be limited to 30° or 90°, or to a full 360°. When combined with the Step’n Play™ activator, users then have full control of the Cannons. Users activate-them with Step’n PlayTM using their foot’s pressure. The user can then vary the flow, from none to full, by decreasing or increasing their foot pressure. Thanks to the Step’n Play™ activator, the Cannons are always ready to be used by the children, but don’t waste any water when no one is around. Furthermore, all our cannons are now offered with an optional MA type push-button. 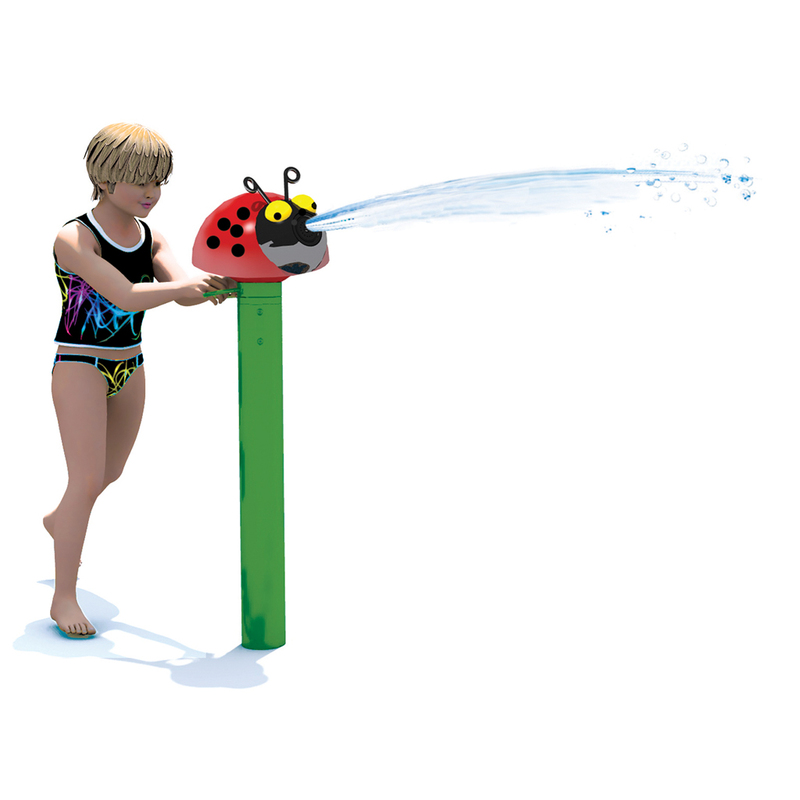 Spray cannon in a ladybug shape. Tall cannon that evokes a periscope.